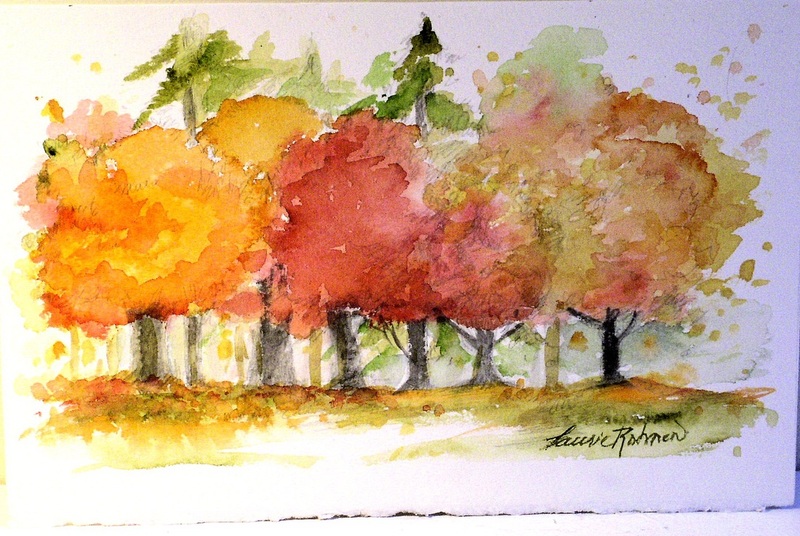 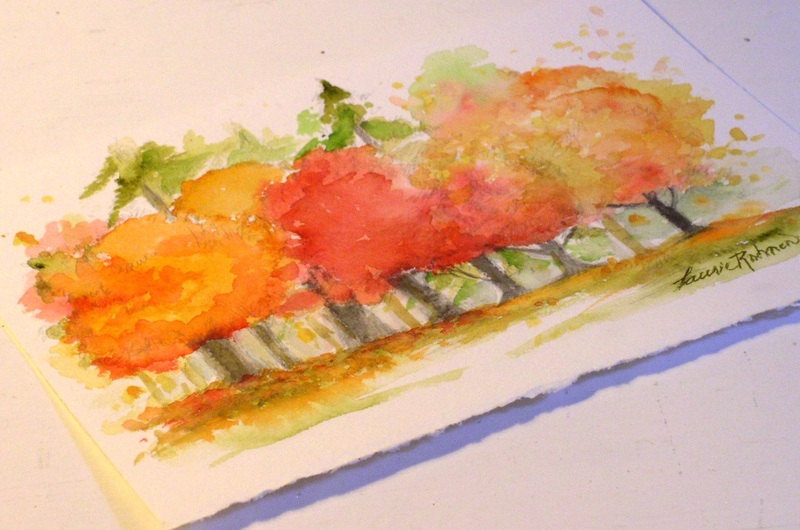 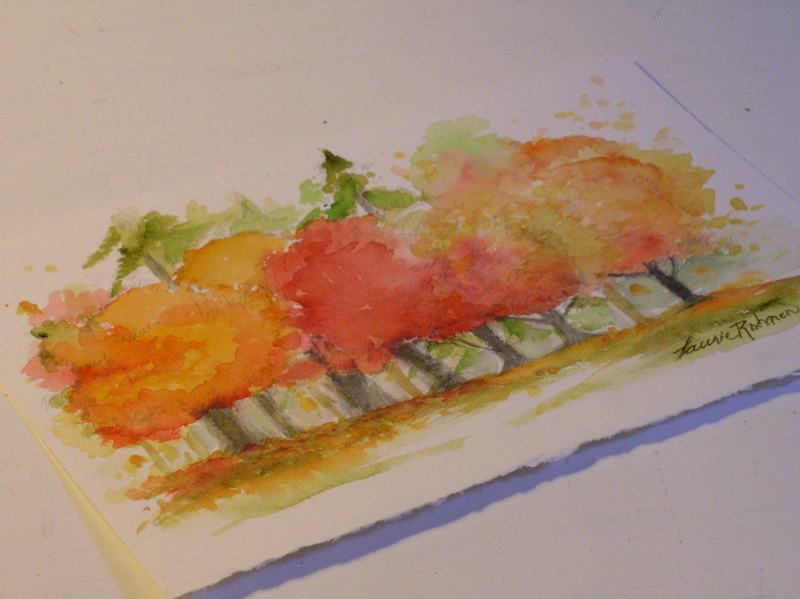 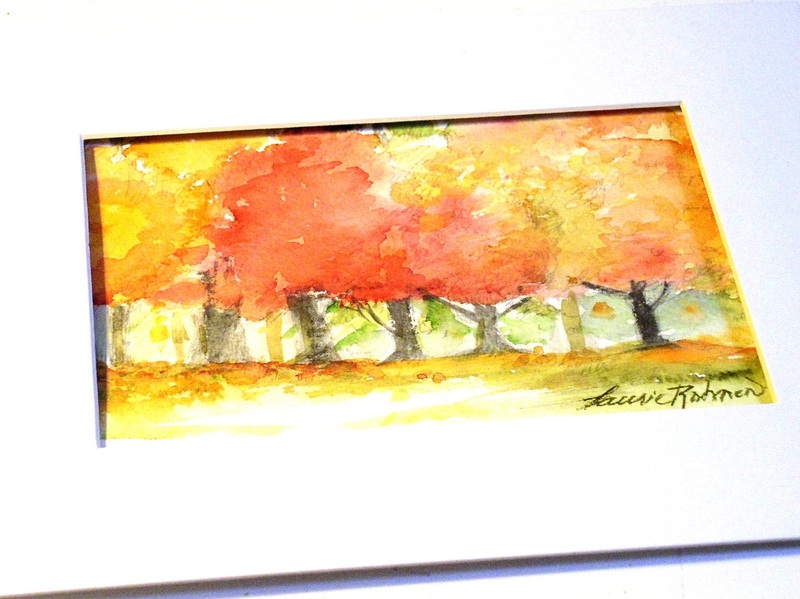 SOLD Nature landscape watercolor original art work is a painting of autumn maple trees in vivid red and orange titled Autumn Maples by Laurie Rohner. Nature art landscape in full intense color is sketched with a pencil and watercolor added to create this vibrant original watercolor landscape. 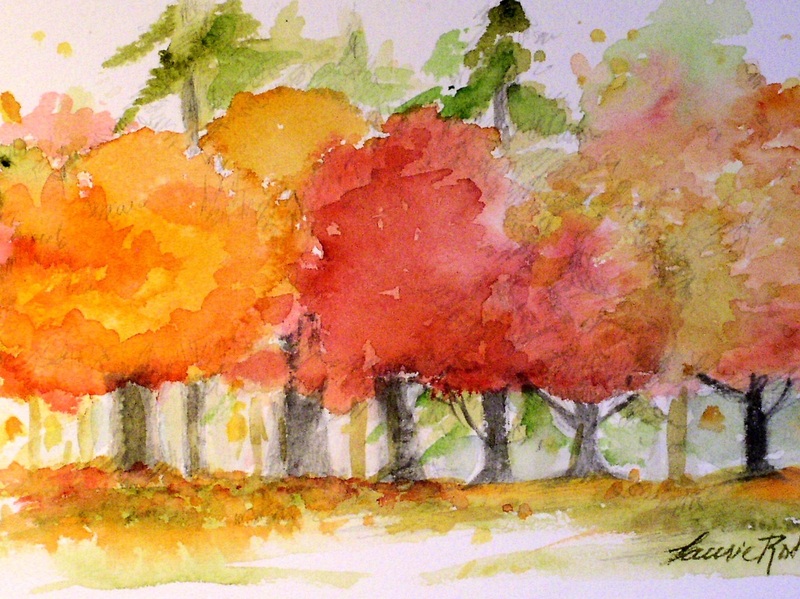 The image is both fun and whimsical asking you do you see the autumn wind blowing through the trees making the leaves dance in the air? 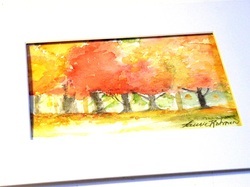 Sale includes the one signed art work only - additional cards, frame, mat etc. are not included in sale.